I like to buy clothes to last a long time and sometimes I spend a lot of money on them. 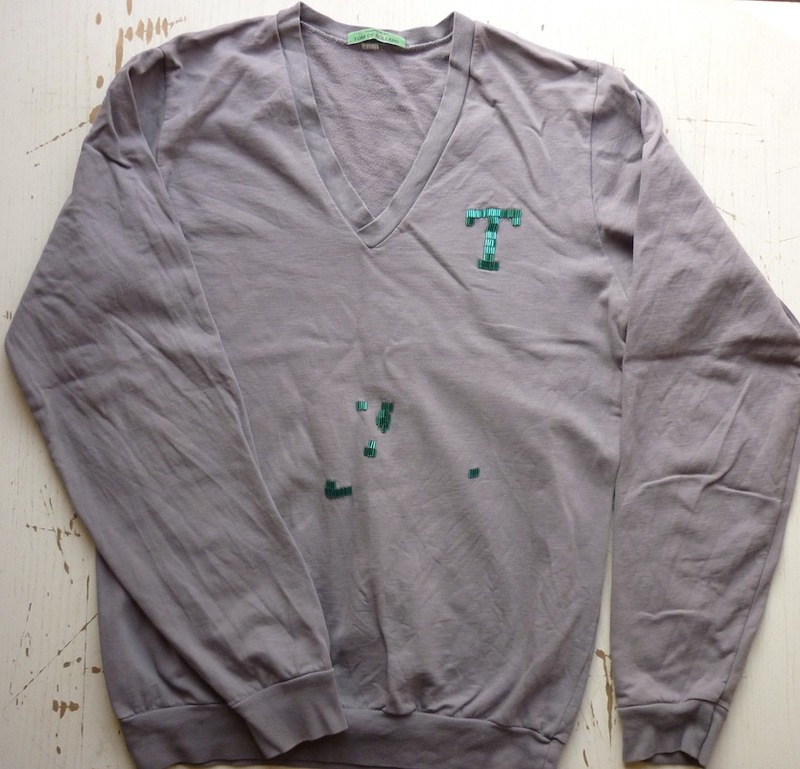 And if I’ve worn something for a few years they get holes in them, or gravy stains, or just start to look a bit tired. 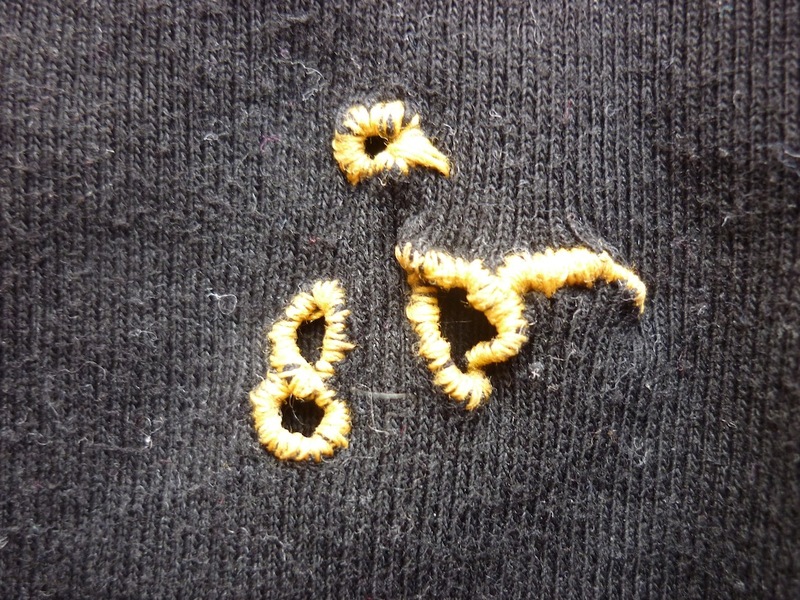 I don’t want to throw them away, but instead I do some visible mending. 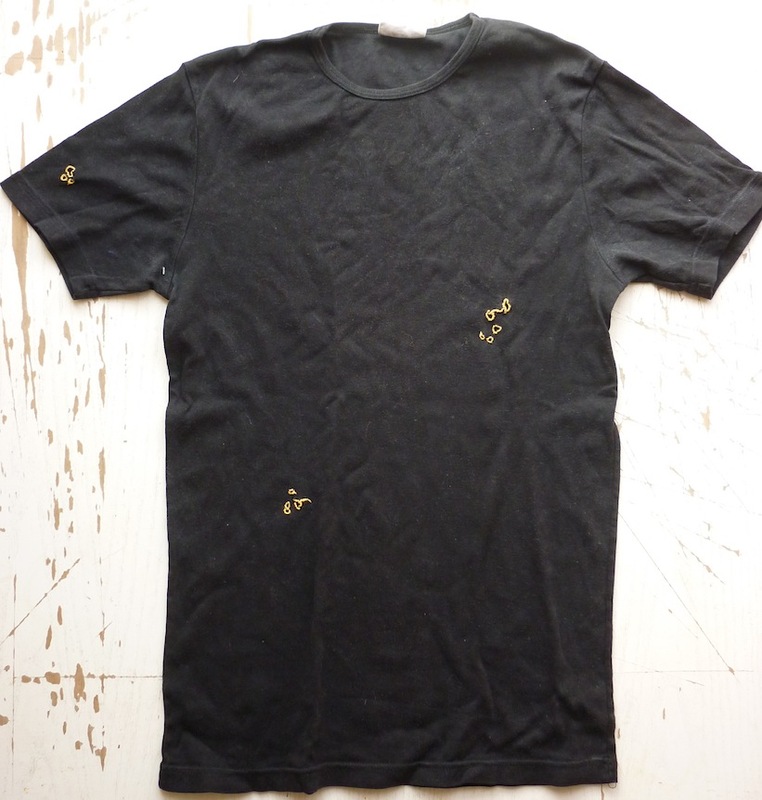 Take for instance, this t-shirt. It had holes in them. 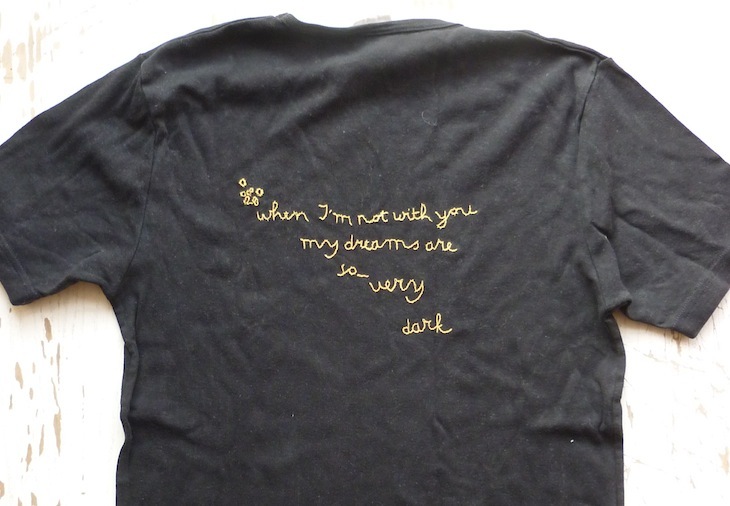 As I was going to a PJ Harvey gig, I used a line from one of her songs to embellish the back. 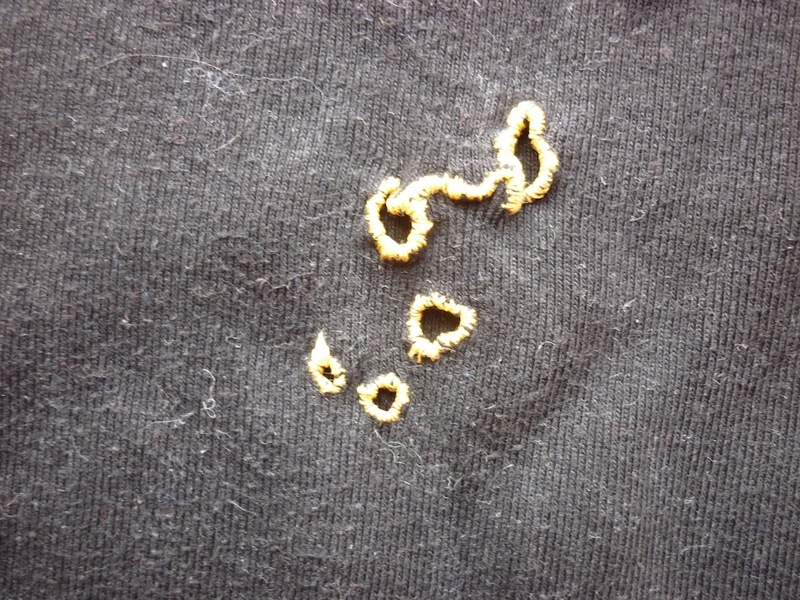 The holes were prettified by a simple whip stitch. 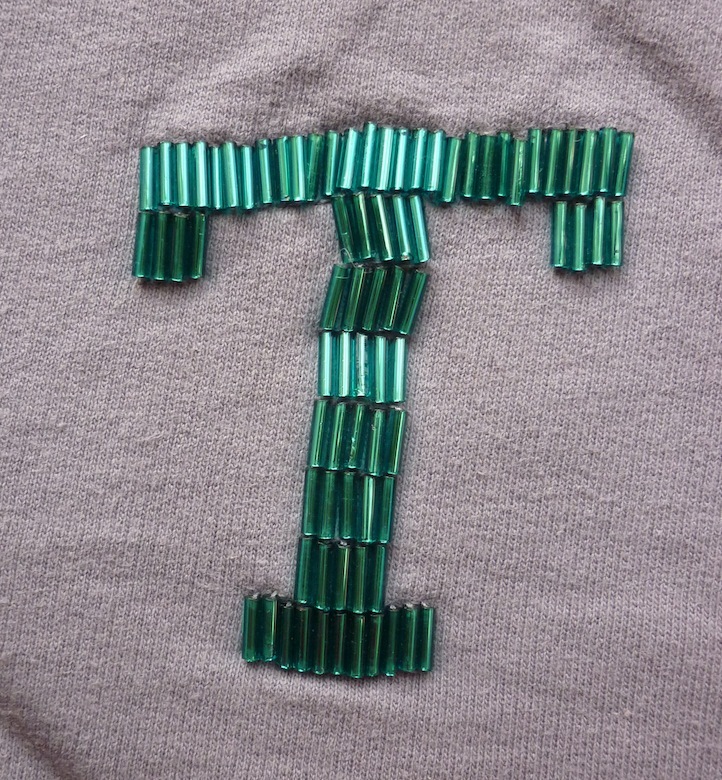 This v-neck jersey has a bugle bead T on it. Five minutes after my partner borrowed it, it was covered in gravy stains. 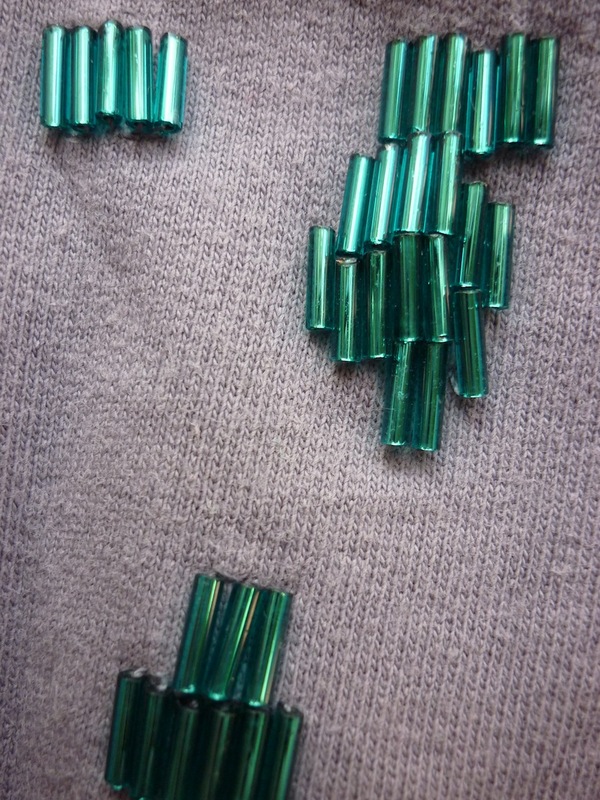 They didn’t come out in the wash, so I used some more bugle beads to cover them up.